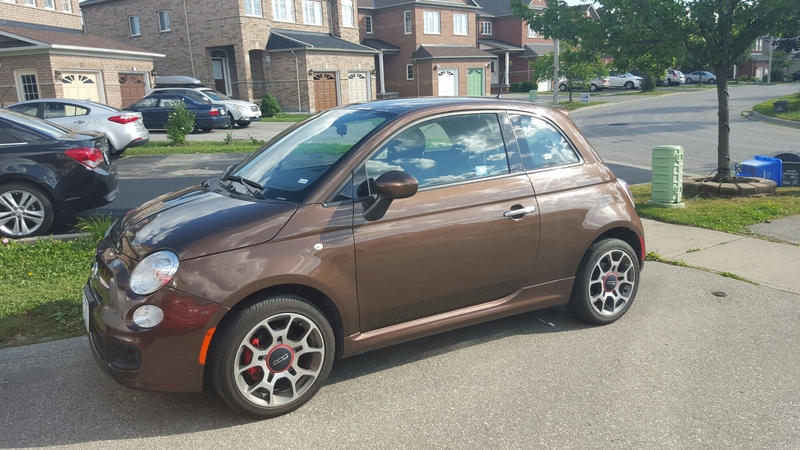 Last week’s Snappy Friday for me was a photo of Brownie – the name I had given to a Brown (Fiat calls the colour Espresso) Fiat 500 I drove this past weekend while my Jeep Patriot (that I’ve nicknamed Tricia) was in a body shop for a dent repair. Why did I get this car? Well the car rental ran out of cars and SUV/CUV’s that were comparable in size to Tricia for the weekend. I was given this car until Monday and then I would be given a chance to trade up. Read more about what I thought of Brownie by clicking the title or link below.